One of the reasons we're thankful for Thanksgiving: It's a holiday that always allows us to experiment with decor and reinvent tradition. 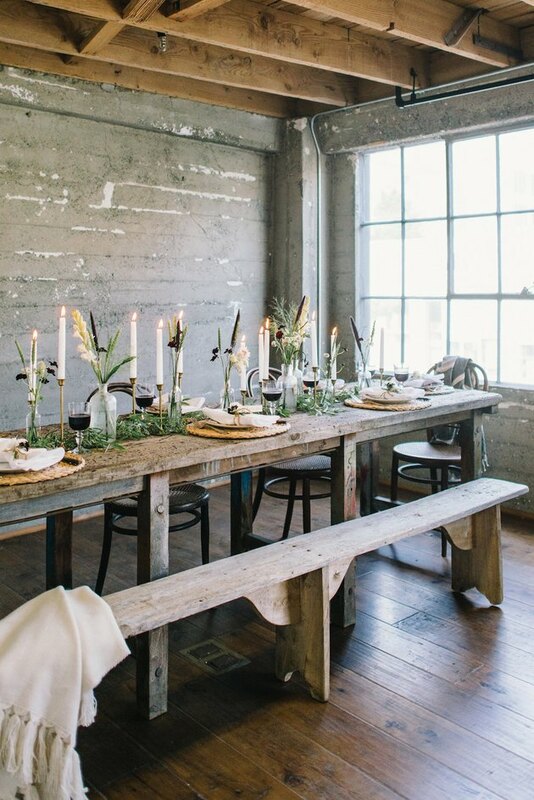 (The table settings alone have us swooning!) So, go ahead and make your Turkey Day meal unique this year with these modern ideas and DIYs. 1. Bring in some graphic design. This year, forgo the calligraphy place cards and menus. 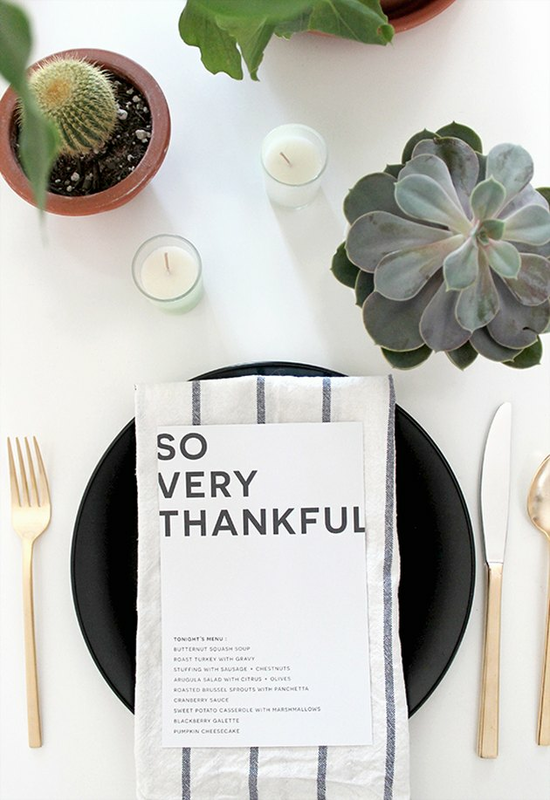 Instead, print menus with bold, modern fonts that can set the mood for your entire tablescape. You can even copy this exact menu by Almost Makes Perfect — they offer a free, downloadable template for you to customize. Pumpkins, pomegranates, and pears are probably the first winter fruits/veg that come to mind for creating a centerpiece. Instead, try embracing all the beautiful colors winter citrus offers. We especially love how blogger Anna Bode has kept the leaves on her table's mandarin arrangement to bring in some built-in greenery. 3. Use craft pumpkins as a modern centerpiece. Complement a Scandi-inspired table using painted craft pumpkins. 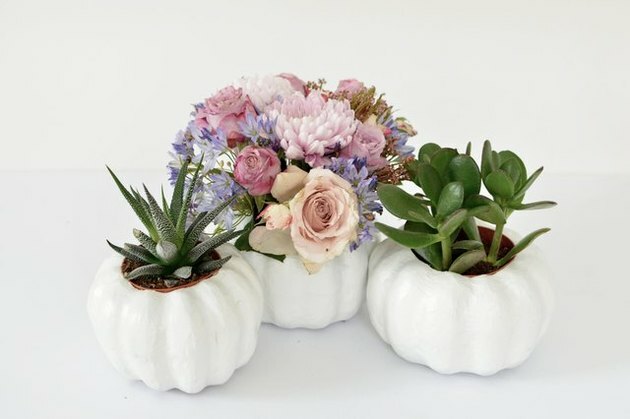 No messy carving involved, and you can add succulents or flowers in any shape or color to fit your theme. 4. 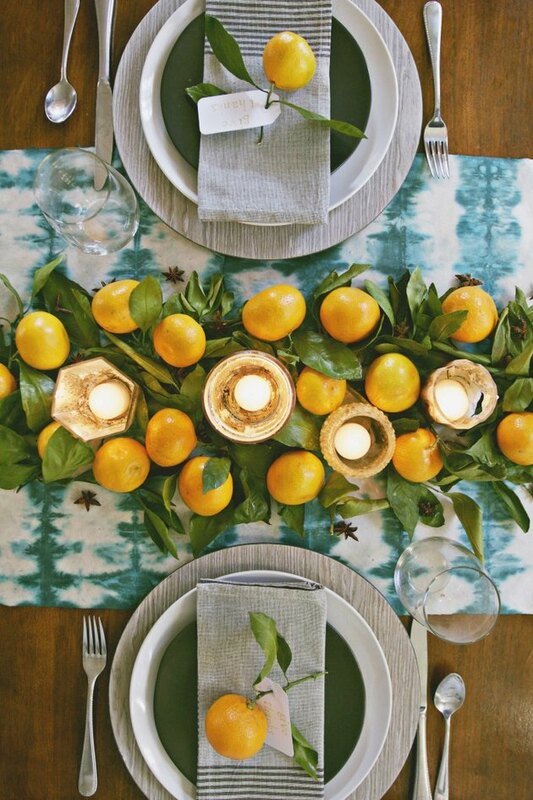 Make a wood table the focus of your Thanksgiving decor. If you've got a rustic wood table, make it work — this holiday design only requires some long, tapered candles and few seasonal wildflowers to bring the look together. 5. Make your table sing with color. 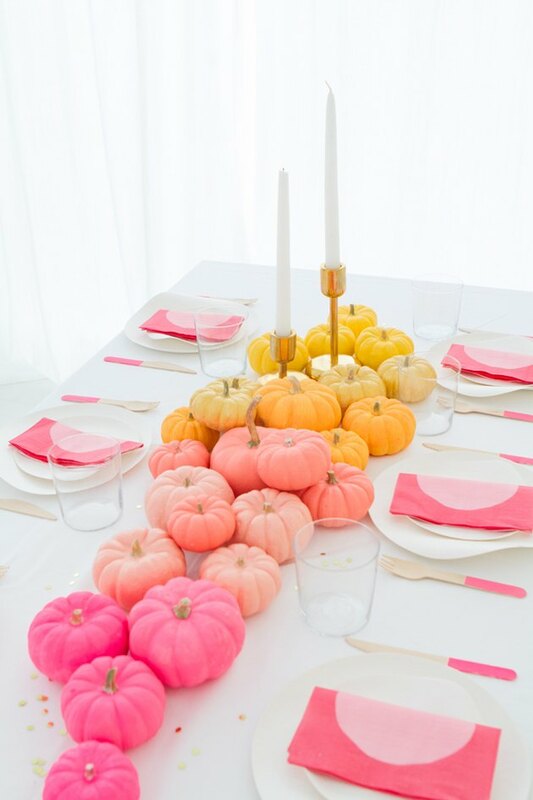 Oh Happy Day's ombre pumpkin centerpiece is so simple, and can be done in any hue to suit your decor. 6. Bring in some desert inspiration. Turn around tradition by forgoing flowers or seasonal centerpieces. Instead, repurpose succulents for your table decor. To push the desert chic look, try neutral linen runners or napkins. 7. Try a festive cinnamon DIY. 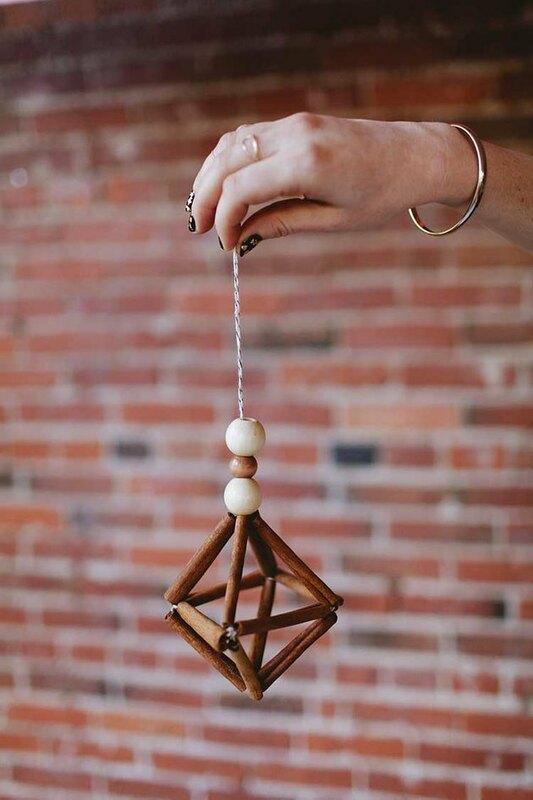 A fun way to add a bit of modern, geometric flair to your space, Jojotastic's hanging cinnamon stick DIY will take you through Thanksgiving and the rest of the holidays. 8. Eucalyptus lasts and is perfectly sophisticated. 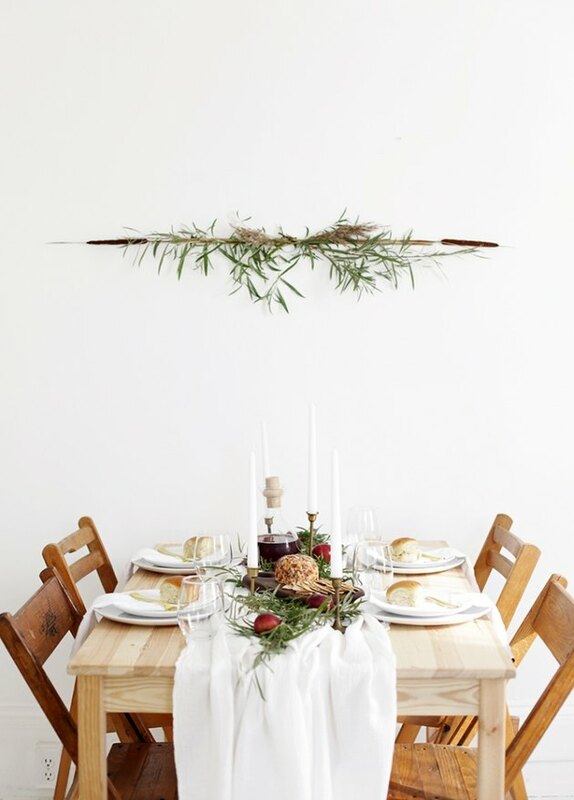 Here's an easy solution if you don't have the time or energy for flower arrangements: Pick up some eucalyptus and arrange it as a natural, minimalist table runner. You can even pick some up way before the holiday: Eucalyptus can last for a few weeks as it dries out. 9. Concentrate on a single, neutral hue. 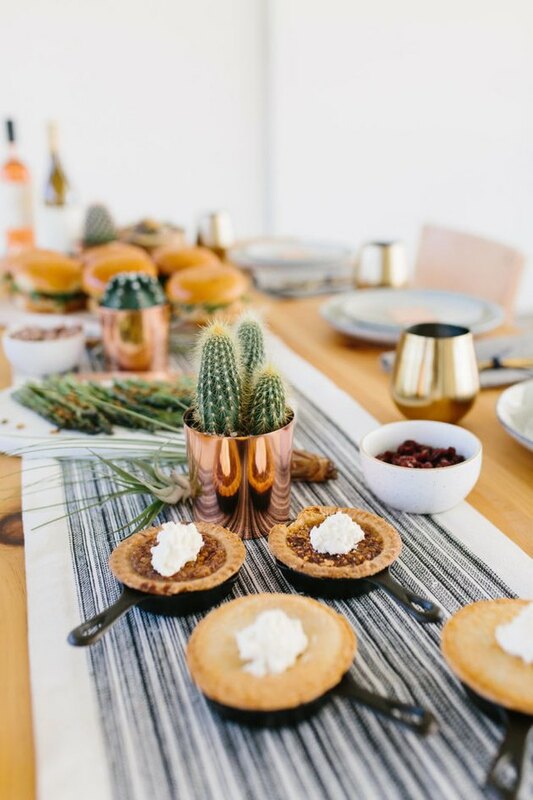 If you're confused about where to even start for creating a Thanksgiving theme, try this: Take stock of what linens and dishes you already have and narrow them down to a single color family. Then, add in affordable accents in that hue. Think: flowers, small vases, and candles. 10. Mix modern with country. 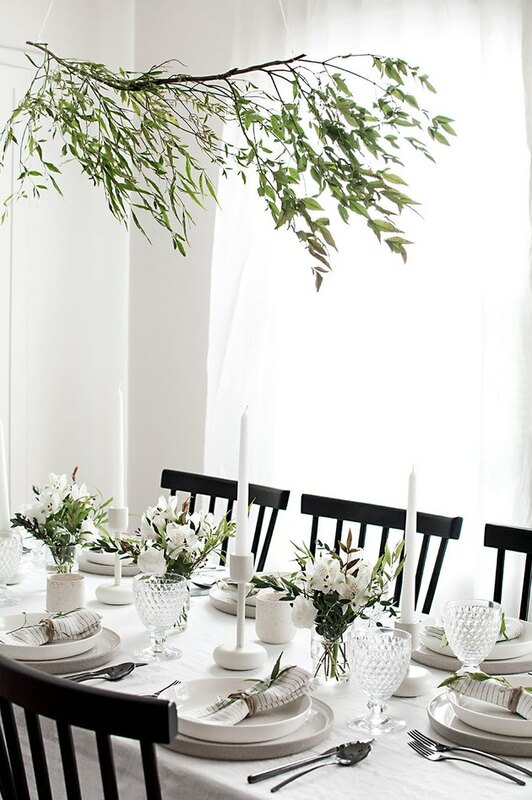 This tablescape from Remodelista is a perfect study in contrasts. 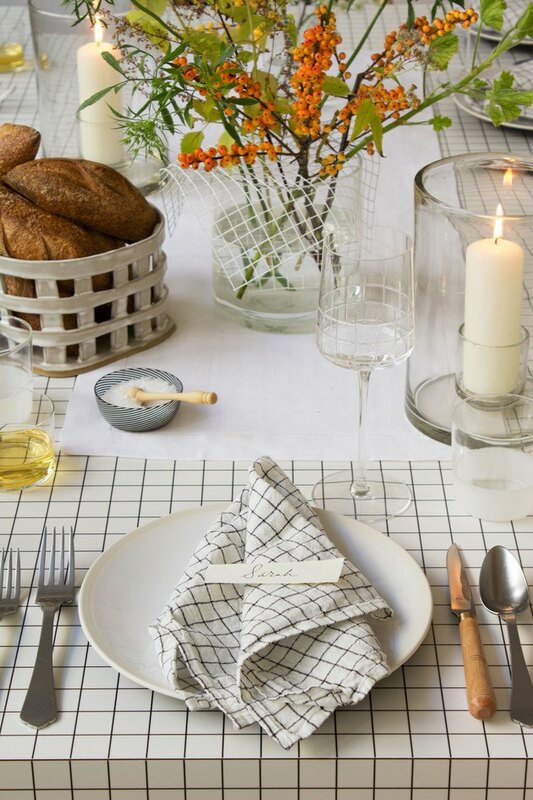 The grid design on the linens and glasses are all modern, while the vintage-inspired flatware and wild florals channel a slight farmhouse vibe. 11. Step outside your door to find your decor. 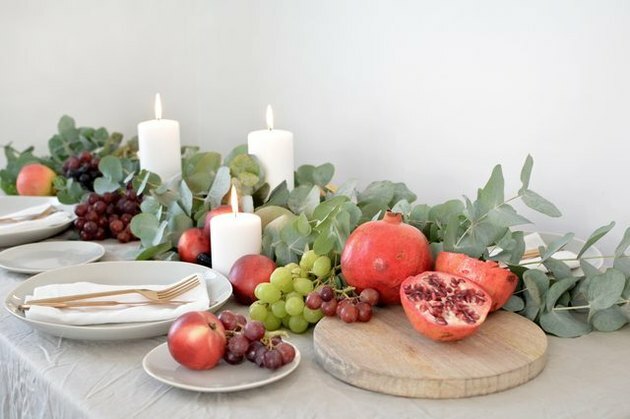 The Merrythought calls this a "simple foraged fall table" because it was created with foliage found on a walk and cobbled together with a spare muslin cloth. Mismatched chairs add to the table's charm.